When I was observing in 3rd grade last semester they read this book as they compared the differences between fiction and non-fiction texts. They read this book and then they read a non-fiction text about space and compared and contrasted the differences between the two. 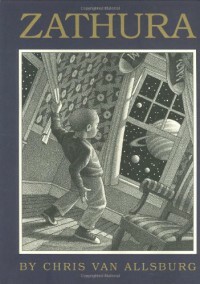 I really like Chris Van Allsburg books because they are always kind of magical and the illustrations are beautiful.